The Clarsach society is a charity that exists to promote the clarsach and harp. The Highland Branch is one of eleven branches within the Society, which help to coordinate players and teachers in local areas, and occasionally offer concerts and workshops. Check out our News page to see what is currently happening in your area! Membership is open to all persons of any age or ability, including non-players. To find out about joining or getting lessons click on the 'join the branch' and 'tutors' links. As the Clarsach Society was founded during the 1931 Mod at Dingwall, it is especially fitting that the Highland Branch continues to promote the playing of traditional music on Scottish harps throughout the Highlands. 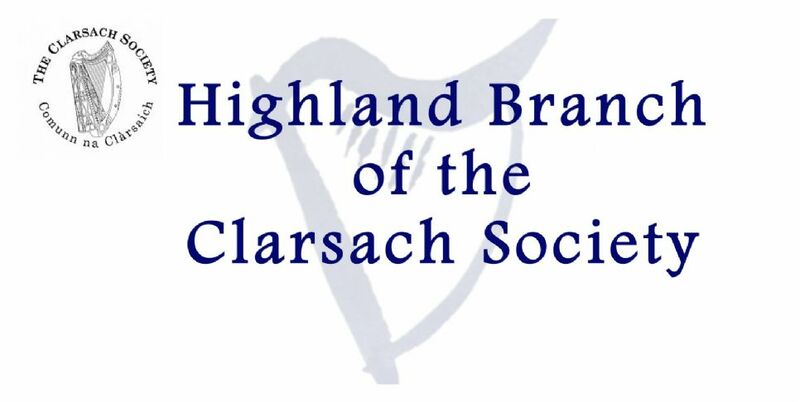 If you would like to stay up to date with clarsach society events happening in the Highlands then give us a 'like' on our facebook page. We have a fantastic comittee made up of harp enthusiasts, professionals, and hobbyists of all ages who keep things running in the Highland branch. We will keep you updated of what's going on after each comitee meeting. You are welcome to join our comitee, keep your eye out for our next Annual AGM. Any comments or questions feel free to contact our comitee members (listed to the left) or drop us a note in the feedback section.